The first larger 0.45 ha easterly higher section of Hourcat Sud is planted with +/- 1,000 head of 17 year old Cabernet Franc vines, which provides all of the fruit for our unique 100% varietal Cabernet Franc Cloud9. Overlooked by a 12th century church to the west and with a gentle easy draining slope, it was this parcel of land that ignited the passion of the Paradise Rescued project, protecting this beautiful rural part of the village from over-development through housing. To the western lower side of Hourcat Sud, there is currently a section of mixed vines currently planted with three short rows of Sauvignon Blanc and seven rows of different table grapes. The grapes from these vines are currently made available to the community for their personal use. In the medium term it is planned to remove part of this block to make space for an extension of the Hourcat Sud Cabernet Franc block. 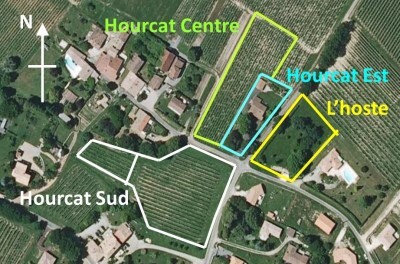 Prior to taking ownership and management of the vineyard, Hourcat Sud had not been managed organically. Commencing January 2010, an organic vineyard management programme was begun. The slow process of reversing the damage caused by excessive pesticide, insecticide and herbicide usage has been successful and together with loving care from our vigeronne and vineyard team, we have restored Hourcat Sud to a balanced ecosytem and fully healthy organic vineyard. Much of our vineyard operations are carried out by hand, minimising the impacts of heavy mechanical equipment on the land and bringing the maximum care and attention possible to each vine. Application for formal Organic Vineyard certification was commenced in 2014. A three year technical and regulatory period, including audit and close scrutiny, is required before our vineyard can be formally called “organic” and wine labelled accordingly. Hourcat Centre block was purchased in September 2011 after Paradise Rescued had provided interim “life support” vineyard management for much of that year, following two years of sad neglect. At the southern end is a section of 55+ year merlot vines – the so called “Old Vine Merlot block”, which, after a lot of loving care and hands on attention provided a small initial harvest in 2012. Continued effort has restored this block to full production in 2014. The northern larger part of this block, was formerly planted in Sémillon grapes. Recovery of this vineyard after the period of neglect was not possible. The vines were removed in mid 2012 with the land rehabilitated and made ready for replantation with Merlot vines which occurred in June 2014. 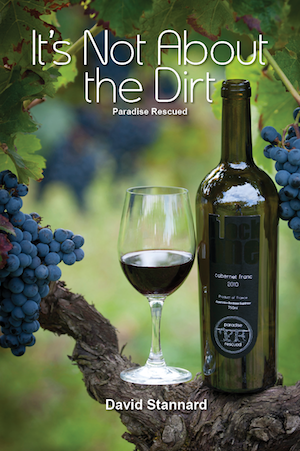 This is the new home of Paradise Rescued Merlot production. Behind the Winery – Hourcat Nord? The small section of land behind and to the north of the winery was also been replanted in 2014 – in Cabernet Franc. This section is currently part of the Hourcat Centre block but will probably be renamed Hourcat Nord as it grows in importance. 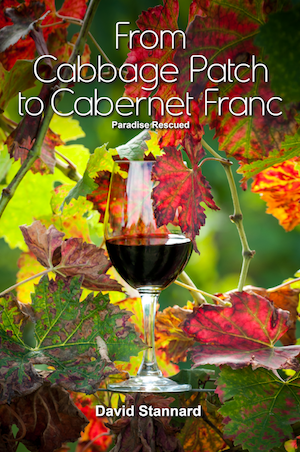 Its role is to firstly explore the potential of the Hourcat plateau as an extended home for our unique 100% varietal Cabernet Franc production but also to produce elegant wine to blend with the Cabernet Franc.